Here’s some fun to cap off our Summer 2010 Vacation Coverfolk series: just as we’ve moved on from California to Oregon, crossing the state line for a final week with friends and family, so did these well-known boundary-pushing artists leave the long, banana-shaped state of their birth to settle north of the border, helping make the “Portland scene” the vibrant hotbed of music it became in the wake of the indie and folk revivals of the post-grunge late nineties. Funk-fusion banjo player and bandleader Tony Furtado may not have Bela Fleck’s following or fame, but it’s not for lack of trying or talent. 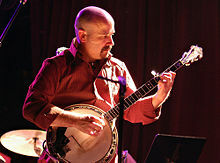 Instead, even as his career has explored the intersection of electric production, fingerpicking, and slide guitar, Furtado has hewn closer to his roots, fitting traditional folksongs and bluegrass numbers smoothly in and among his original compositions, his overall sound not so much challenging the genre envelope as balancing on the knife edge between innovation and graceful evolution – as seen, for example, in his comprehensive reinvention of early bluegrass standard Mollie & Tenbrooks. Now, 14 albums into a thriving career, the man hovers just under the national radar, though his free concert at Portland’s Pioneer Courthouse Square this Thursday afternoon and a top-of-the-marquee headline turn alongside Peter Rowan and Joy Kills Sorrow at this weekend’s first annual Beavergrass Bluegrass Festival down in Corvalis speaks volumes about his regional recognition. We most recently heard Furtado covering the ol’ standard Man of Constant Sorrow with Tim O’Brien; here’s a few more faves from a long overdue appreciation. 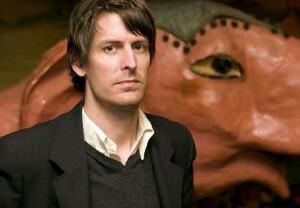 Indie rock god Stephen Malkmus – founder of prototypical indieband Pavement, spearhead of the 1990s indie underground revival, member of The Silver Jews, and more recently of solo “and The Jicks” fame – is a terribly prolific artist, whose numerous studio recordings in all these incarnations shuffle in and out of time, mixing elements of post-punk, basement grunge, alt-rock and true blue rock ‘n roll. And I’ve always liked his songwriting, which manages to capture a detachment and a sneer with reasonably spare lyrics and the basic melodic craft you’d expect of a man known for his understated prowess in all four of the basic instruments of rock: guitar, bass, drums and vox. We actually did a feature on Pavement way back in February of 2008; the writing remains, so there’s no need to rehash the obvious here. But the songs we posted alongside our deep exploration of the band and the man – both the Pavement covers, and Malkmus’ Dylan covers from the I’m Not There soundtrack – bear repeating. 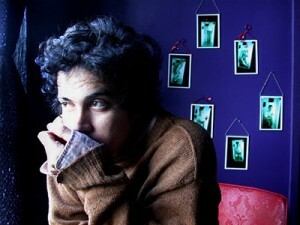 Though torn-voiced singer-songwriter M. Ward was born in California, in just a decade of active recording and performance he has come to define the Portland scene more centrally than any, having grown to prominence in the region as a solo artist, producer, and guest vocalist before joining She & Him and his fellow Monsters of Folk on his way to further fame and fortune. Thanks to a tendency towards especially prolific coverage, we’ve featured the frequent indie-crowd collaborator previously known as Matthew Stephen Ward plenty here on the blog, both solo and in conjunction with Beth Orton, Lucinda Williams, Conor Oberst, and of course Zooey Deschanel, the “she” to Ward’s “him”. But though Ward’s ragged, whispered tones and gentle nuance bring majestic tension to these pairings, the sparser balance between his delicate stringwork and voice in solo performance is no less potent. Today, we honor the man by letting that solo work shine. 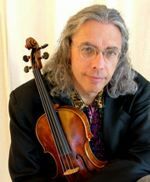 Finally, from back in the realm of several traditions – classical, folk, and jazz among them – comes fiddler, teacher, and bandleader Darol Anger, perhaps best known for his work as a founding member of both the newgrass Dave Grisman Quintet and the chamber jazz group Turtle Island String Quartet. Over 30 years into a stunning career at the forefront of acoustic and string-band genre-experimentation, Anger has collaborated with dozens of artists, from guitar god Michael Hedges to jazz violin god Stephane Grappelli, from Appalachian revivalist Mark O’Connor to bluegrass standard-bearers Tony Rice, Tim O’Brien, Alison Brown, Jerry Douglas and Bela Fleck, from folk cellist Rushad Eggleston to newgrass bands Nickel Creek and Yonder Mountain String Band. His subtle touch in bluegrass supergroup NewGrange’s albums is a reminder of how fiddle should lift the ‘grass without overpowering it. His six-album run with partner and mando player Mike Marshall are staples of the Windham Hill and Compass Records labels. Recent collaboration Fiddlers 4 and folk journey Heritage, linked to below, are light and amazing. And yes, that’s his strings you can hear at the end of NPR’s Car Talk. Cover Lay Down posts new coverfolk features, sets, and sentiment on Wednesdays, Sundays, and the occasional otherday. By the time we finally caught pregnant, we had both been teaching for a decade, and that meant the baby name books were right out. After we discarded the archaic and the merely odd, the names that were left were invariably overfamiliar — we knew “that kid”, and thus the name came with baggage we just could not accept. So we took a look at ourselves. 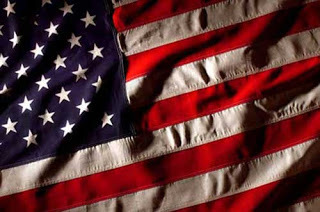 Liberal folk, to put it politically, with a sense of adventure, and a love of the world for what it was. We wanted something organic, something real, something us. 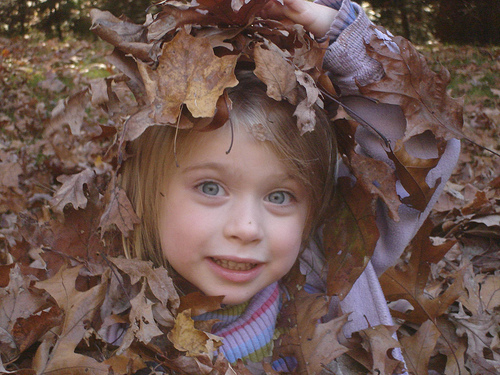 So we traded in the baby books for field guides and herbal identification charts, and named our children after trees. And we started with Willow, because we liked the sound of it, and because we had lived under one once. My younger child is too young, really, to understand what being named after a tree really means. But the elder one has been interested in it from the start. She asks me to sing her special song about being a tree almost every night before bed. Spotting “her” tree still brings excitement to a long drive. Being trees is something we share like a secret. Biology made me a father. But the girl who made me Daddy has my heartwood on a string. Her name is Willow, and she turns six this week. Here’s a small set of traditional treesongs, just for her. * I know the last pair is kind of morbid, but it’s hard to find upbeat Willowsongs; unfortunately, though in our house we celebrate Willows for their flexibility, strength, and beauty, most pop culture references seem to play off their nominative weepiness. If anyone knows of more Willowsongs which are not murder ballads, please pass ‘em along in the comments; bonus points for any and all Joan Armatrading covers.